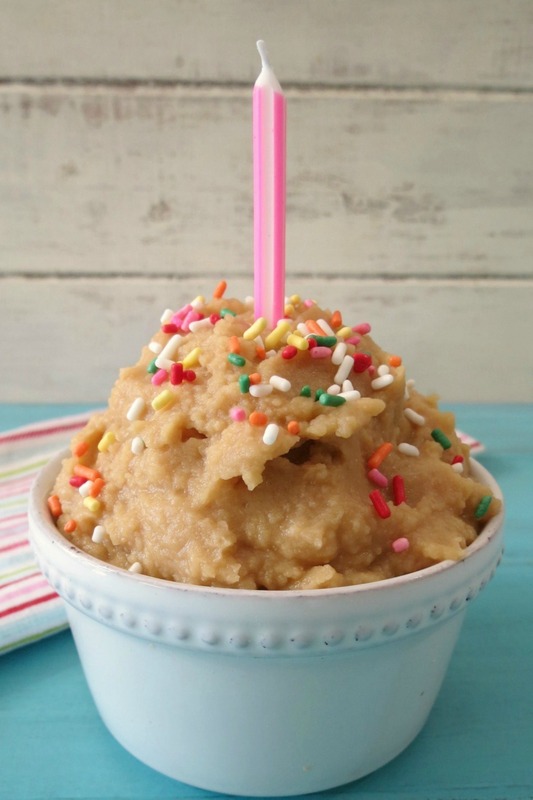 I have to forewarn you today’s recipe is not exactly healthy, but it’s darn good! Recently it seems that the smore is becoming the summer thing. Every time my Husband and I go to the store the first thing we see is the massive bag of marshmallows, Hershey’s chocolate bars and graham crackers. It’s everywhere! Eventually I was going to get the urge to make one! Well I know if I made one, I would have two, three and so on. My Husband kept saying let’s make smores. I was terrified! I haven’t had a smore since I was a kid and I couldn’t start again. That melted chocolate and burnt marshmallow, oh man is that good! So I did the next best thing and made these!! These are my Smore Ice Cream Sandwiches! These little sandwiches are amazing and very sweet! Honestly you only need one! Ok, I ate two, well one was melting and I figured, I better just eat it, no reason to waste it! I know, excuses, excuses! Anyway I decided on smore ice cream sandwiches over the traditional smore’s because these are one, fewer calories, quick to make and it’s hot out and I wanted ice cream. Plus they are fun to make. I really enjoy making treats like this. 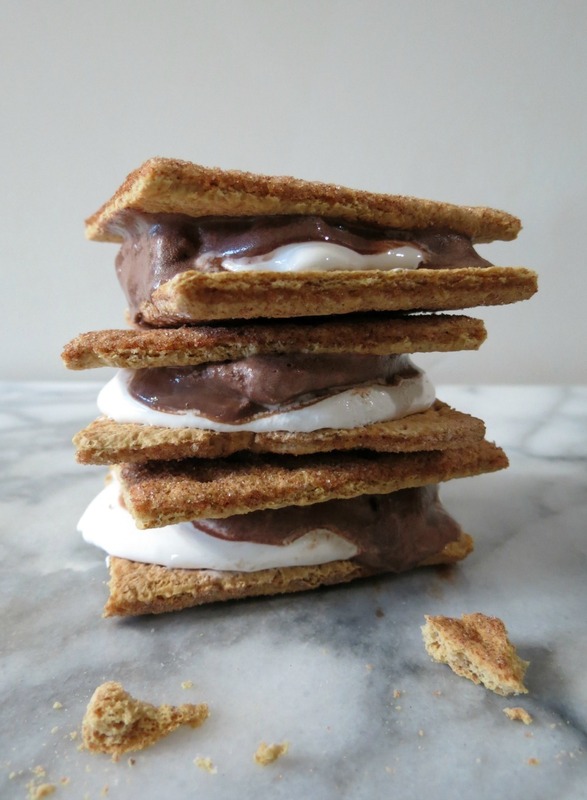 These are more guilt-free then the traditional smore sandwich and I think kids will love them, I know my Husband do!! 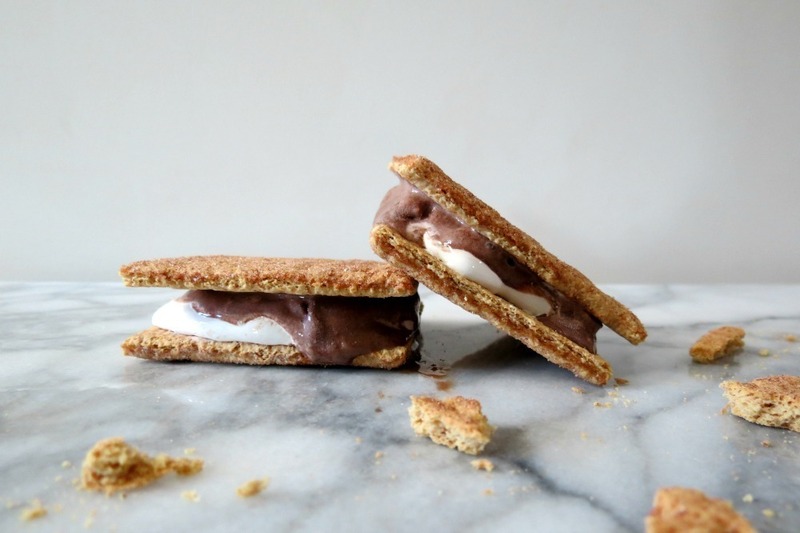 Did you know the traditional campfire smore sandwich are over 150 calories each? I figured it out to be about 157. Eck!! That can be bad if you have more than one. 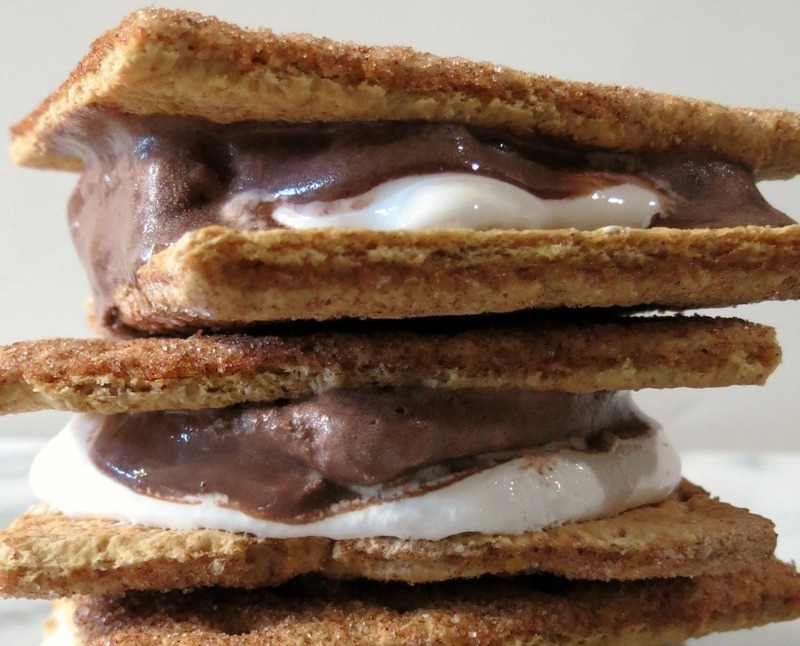 My Ice Cream Smore Sandwiches are just under 100 calories. I love that! They are made with Low Fat Cinnamon Graham Crackers, marshmallow fluff and chocolate ice cream. I told you not healthy stuff, but everything in moderation and it is summer after all! 100 calories is nothing when it comes to ice cream treats! Especially chocolaty, marhmallowy ones! Just look at the gooeyness! For the ice cream, I used Breyers Chocolate Ice Cream. As I said a bazillion times, I go natural with ice cream. I could have went with sugar-free ice cream, but I think if you go for ice cream, go for one with natural ingredients, such as cream, eggs, chocolate, sugar. I don’t like the ones that list a million ingredients that you can’t pronounce. To me that doesn’t seem healthy or natural. Bryers ice cream was 140 calories for 1/2 cup. Just watch the calories. Hagan Daaz chocolate ice cream is 270 calories for 1/2 cup. Crazy! Trader Joe’s is really high too. So read the label and check the ingredients. If you can’t pronounce it don’t get it!! By the way, there isn’t too much of a nutritional difference between the graham crackers. The reduced fat cinnamon ones were less calories then the reduced fat honey and the regular honey ones and I have a thing for cinnamon so I went with that one. But the honey ones are good too! Get the ones you like!! Since were talking about smore’s. Have you seen the gigantic marshmallows? They are HUGE!!!! Little Jenny went camping a couple of weeks ago and she bought them. She said they were horrible. She said the outside melted but the center was hard. She said it also didn’t fit on the graham cracker. They look like fun, but darn that’s a lot of marshmallow. Even too much for me!! I think I’ll stick to my fluff! It’s easier to control! Hey, I just remembered something! When I was a kid, I used to take marshmallows and put them on a fork and toast them over the burner on the stove. I used to eat them all of the time when I would come home from school. Shame on me! No wonder why I plumped up when I hit age 13! Oh the things we used to do. I bet if we had marshmallows in the house, I would probably do that again. he he Just don’t’ tell anyone! 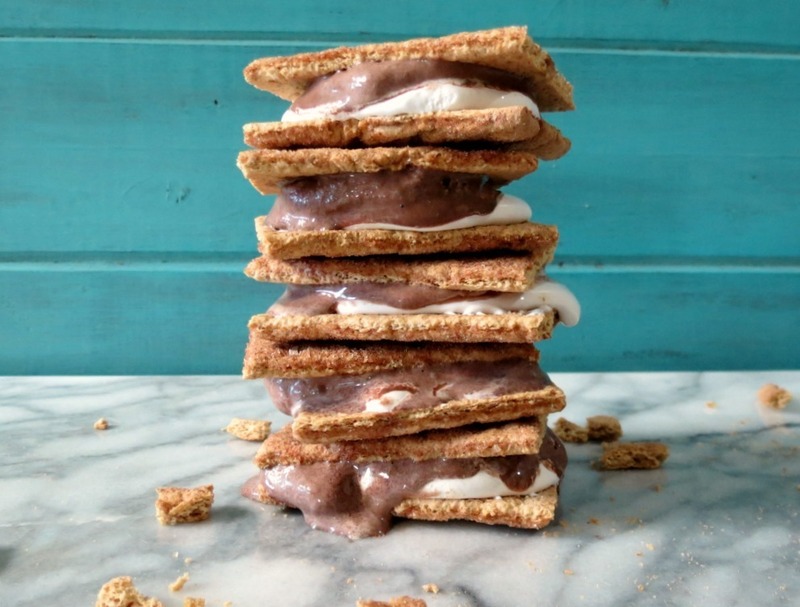 A sweet, summer treat made with chocolate ice cream and marshmallow fluff sandwiched between two cinnamon graham crackers. Break graham cracker in half so you have two perfect squares. Place the cinnamon side down. Place 1 tablespoon Marshmallow Fluff on cracker (side without cinnamon). Top marshmallow fluff with 1 tablespoon chocolate ice cream. Add the other half of the cracker with cinnamon side up on top of ice cream, press cracker down just a pinch to seal to ice cream. Eat and enjoy! If your planning on making a bunch at a time. Add the fluff to the crackers at the same time, then top with ice cream., then top with the cracker. Place in the freezer to harden, then store in a freezer safe container with parchment paper between the sandwiches. Like my chocolaty mess? It’s not easy photographing ice cream sandwiches. I got about 3 minutes of good time before they start to melt everywhere. I did make a batch of these babies, and I am sure they are going to go quick in my house. Everyone loves smores and once Jenny finds them, they will be gone!! By the way if you want to make a batch of them. Lay out all of your crackers, top with fluff then top with ice cream. It makes it quick and easy that way and the ice cream won’t melt. The next day the graham cracker is softer and they taste even better!! Make a batch and enjoy!! Since it’s been a while, I thought I would share some things I found lately. When you go out to dinner, do you have leftover food? Maybe you can swap it or sell it? 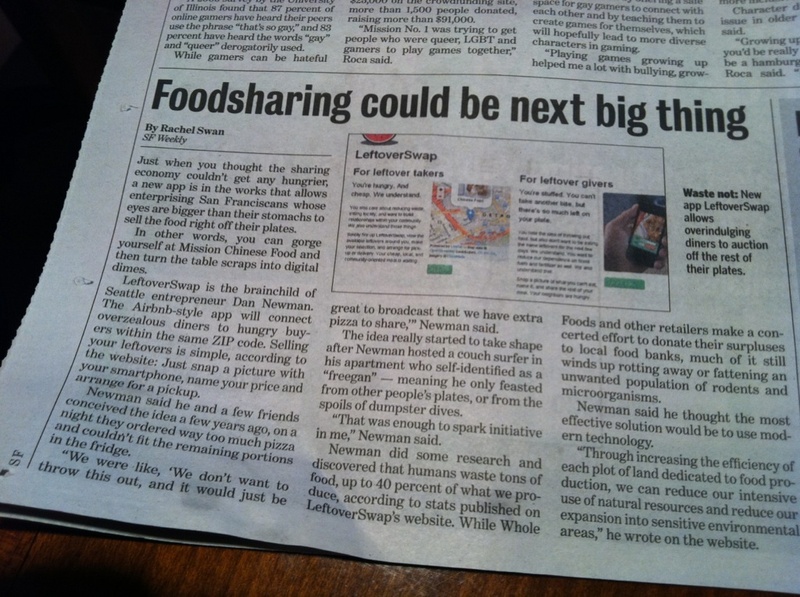 Check out this article in the San Francisco newspaper. What people thing of next. 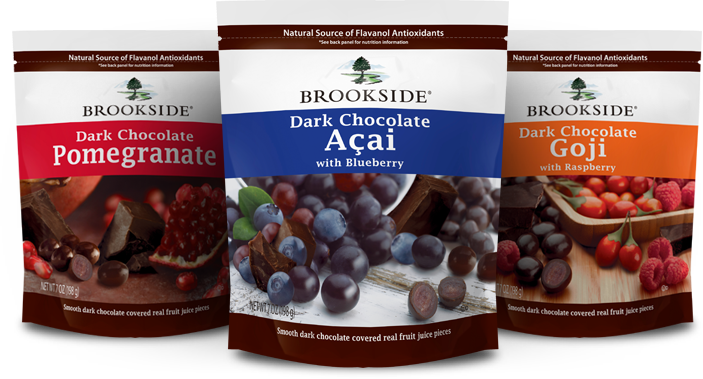 Have you seen this new line Brookside Foods by Hershey’s? Brookside Foods sent me some for no reason, just because they said they liked my blog. That is so nice of them. So my Husband and I opened them up and man are they good! My Friend at work always talks about them, so I am glad I finally got to try them. They are great to satisfy the sweet tooth! I love the Dark Chocolate Pomegranate Ones. Love this! 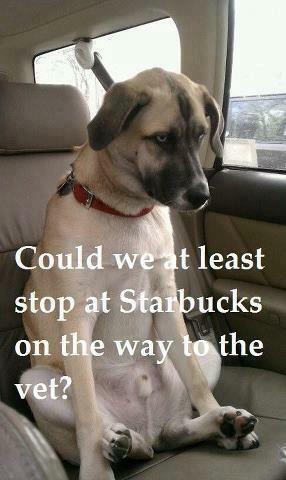 I swear I go to Starbucks to often! I can’t help it, it’s so good! I get the Iced Americano Decafe with sugar free vanilla and non-fat milk! Yum!! All Free Copycat Recipes has a free e-book called 9 Copycat Dessert Recipes: Easy Dessert Recipes to Make at Home. I am on page 9 of the book for my Choco Tacos. They have desserts like Homemade “Hostess” Cupcakes (p. 6), Copycat Lemon Neiman Marcus Bars (p. 12), Copycat Cracker Barrel Coke Cake (p. 16). It’s free so enjoy! Target has a new app, that can be used on a tablet, phone and PC. It’s pretty cool! Target has a list of sale or specialty priced items, from everyday stuff like eggs, milk and peanut butter to things like sheets, towels, clothes, books ect… Each item has a special discount from 5% on up. You click eggs and t-shirts, the coupon goes on your list. When you go to Target you scan your phone and you get the discount. Plus if you have a Target debit or red card, you get the additional 5% off! I love Target! I plan on using mine tonight! I need some items and some were on the sales list! Oh and Sundays Ads, some of them are even a bigger discount on the app. Like if the bike is 25% off, and the app says 20%, you get the sale price (25%), plus the 20%, plus your 5% discount if you use your Target card. Great savings! Check below to check it out! I guess you can tell I am a Target fan! 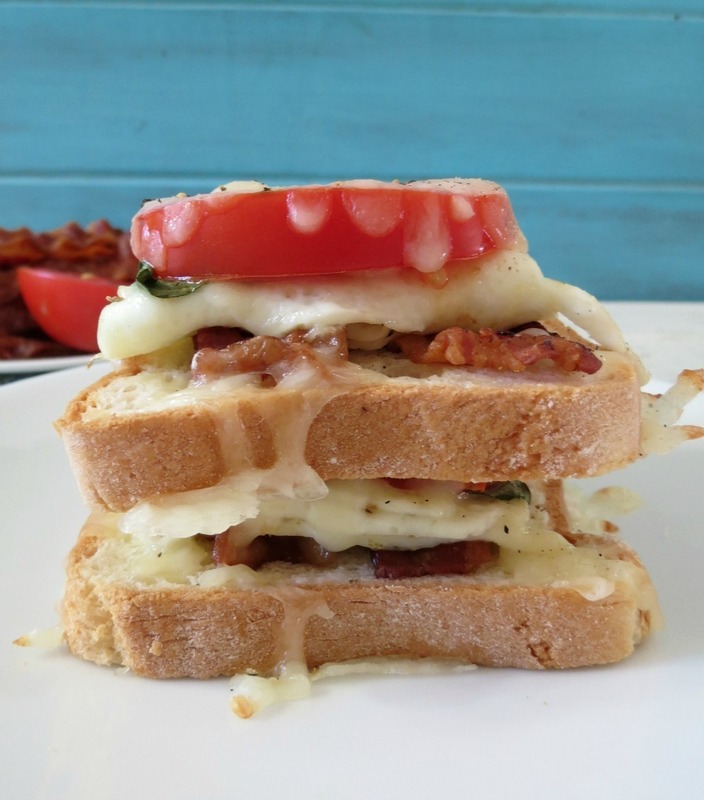 Sunday: Open Faced BTC sandwich – Love this sandwich, it’s so easy to make and loaded with lots of flavor. I love a quick meal and this is perfect for breakfast, lunch or dinner! Monday: The Start on my Mini Kitchen Makeover – I think this post inspired my Husband. He took me to Home Depot last weekend and was looking at stoves and microwaves. Woohoo!! I just wish we could hire someone to do it, it’s so much work for one person and we need all new cabinets. My Husband is so picky, that he is building the cabinets himself. Love the man, but this is going to take forever to do. Can’t wait to get a pantry back! Sigh… But on the plus side, I can’t wait to get my Delta Cassidy Single Handle Faucet with Touch2O. That will be so nice! 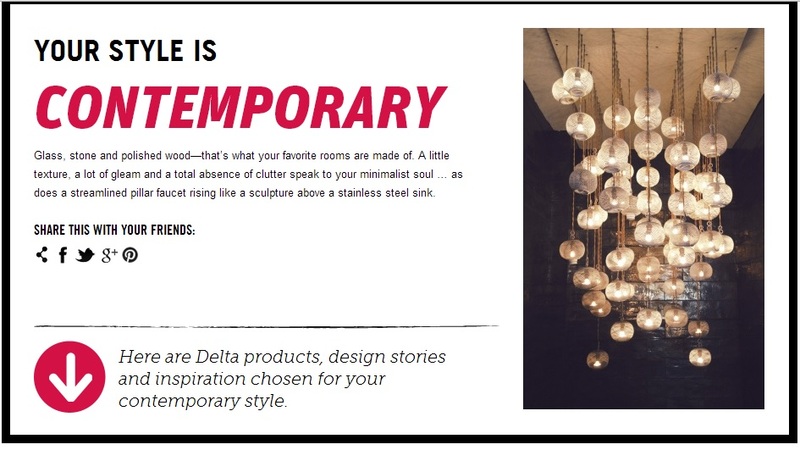 By the way don’t forget to take the Delta Faucet bathroom or kitchen quiz. It’s fun! 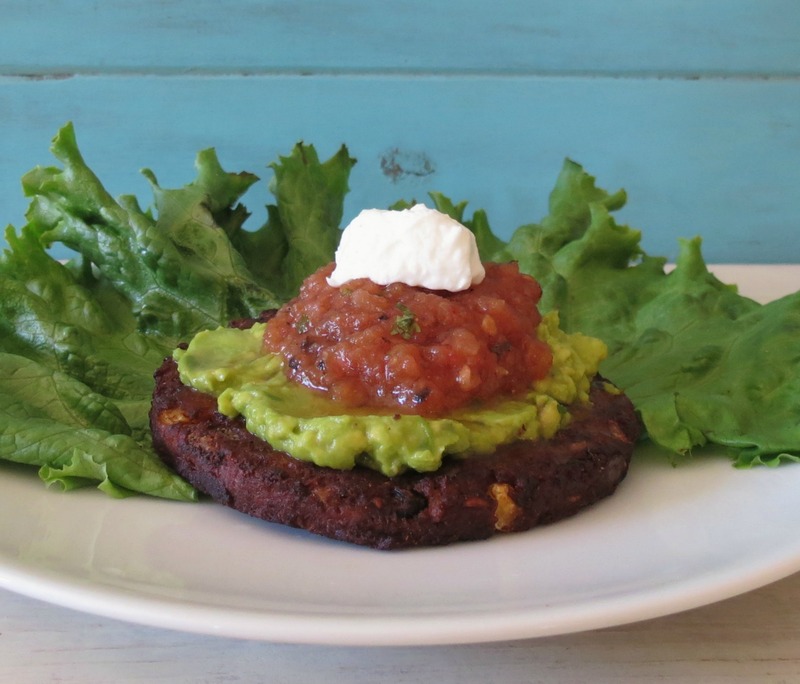 Wednesday: Black Bean Burgers – Life has been extremely busy and sometimes it’s just nice to make a quick, healthy meal! This is one of my go to meals! I have it at least once a week, if not more! Thursday: Well Deserving Giveaway – This is so nice of Ocean Spray to give one of these rewarding people a summer getaway and it’s nice that I was able to give a $100.00 gift card to one of you. The winner of the Ocean Spray Contest was Lara! You can check it out here. My winner is announced at the bottom of the post! 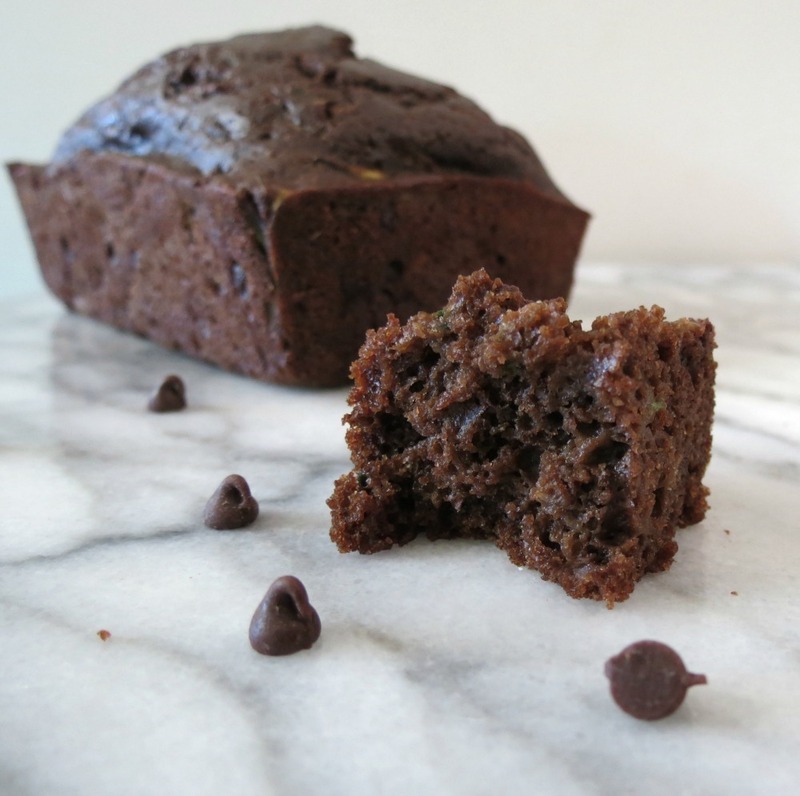 Friday: Lightened Up Chocolate Zucchini Bread – Love this bread! It’s so moist and delicious! I love all the things you can do with zucchini! Be sure to pick some up at the Farmers Market! It’s the best time of year to get them!! Well my Friends, I over loaded you today with stuff! I have been holding off for a while. Life gets crazy and I don’t always have time to share the things I want to with you! Have a great weekend! Get out there and enjoy the summer. It’s almost over! Eck…. P.S. 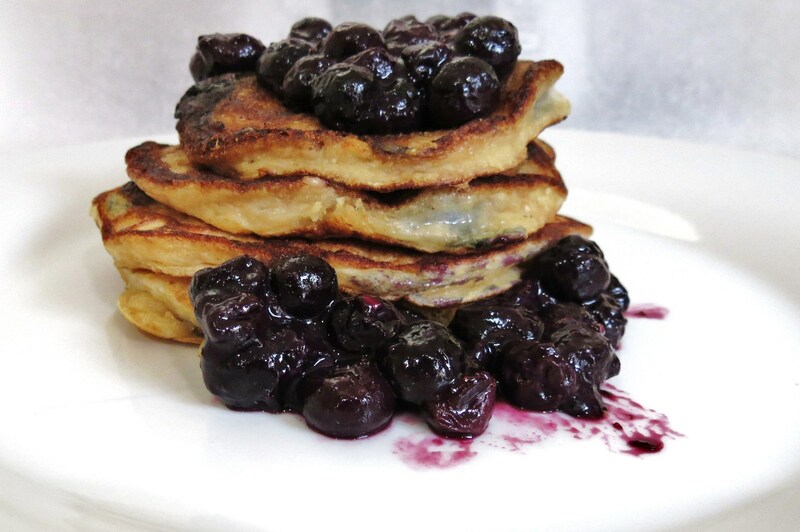 This weeks craving is Blueberry Banana Pancakes! Yum!! I have lots of blueberries and banana’s and this sounds perfect! Jennifer, with regard to eating the melting ice cream sandwich, just remember that you are not a human garbage can! By that I mean you don’t have to eat something because it’s melting or you don’t want it to go to waste. It’s okay not to eat stuff like that. The question is, do you want to waste yourself or food? Which is more important? Hard, hard lesson to learn, but it helps to keep our weight in check. Sorry, I didn’t mean to lecture. This is just a subject I have to be reminded of periodically, plus I want to see you able to maintain your great loss easily. BTW, I think these ice cream s’mores are a great solution for those who can’t resist the idea of s’mores. 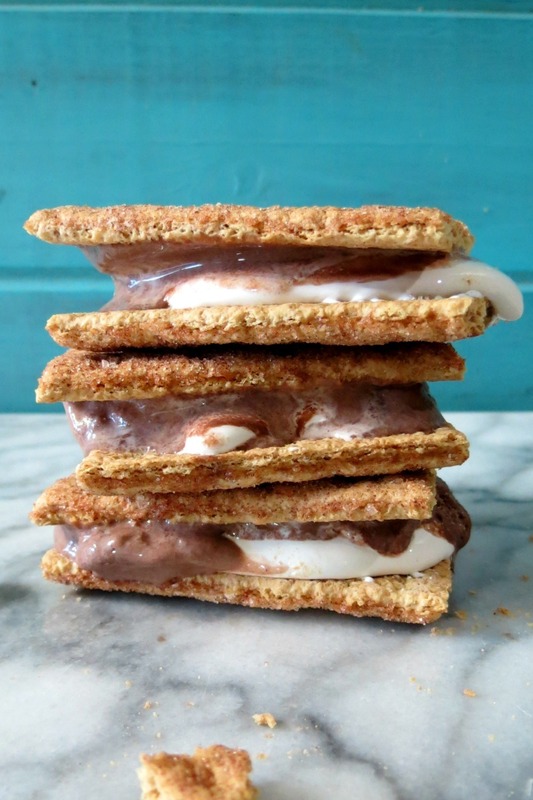 Mmmm I love s’mores and these ice cream sandwiches look scrumptious! Ahhh, thank you! This was a nice treat! Those s’mores look amazing. One time my husband decided a Kondike bar was the best addition to a s’mores. It was good but hard to get your mouth around. Oh my gosh a smore and Kondike, wow! I bet it tasted good!! Everytime I go on Tasteologie, I see tons of your recipes – had to click over and say..NICE! to these! Yum! and the Chocolate Zucchini Bread – that looks so good! I’ve made a zuke pudding cake and it was so incredibly moist. I bet your bread is amazing! Thank you Averie! Tasteolgie likes me, it’s the others that don’t! 🙂 The Zuke pudding cake sounds delish!! Wow, you’ve got some amazing looking stuff here. You’ve certainly been busy as a bee as usual! Love you peanut butter and jelly tart, I’m on my way to vote for you!! 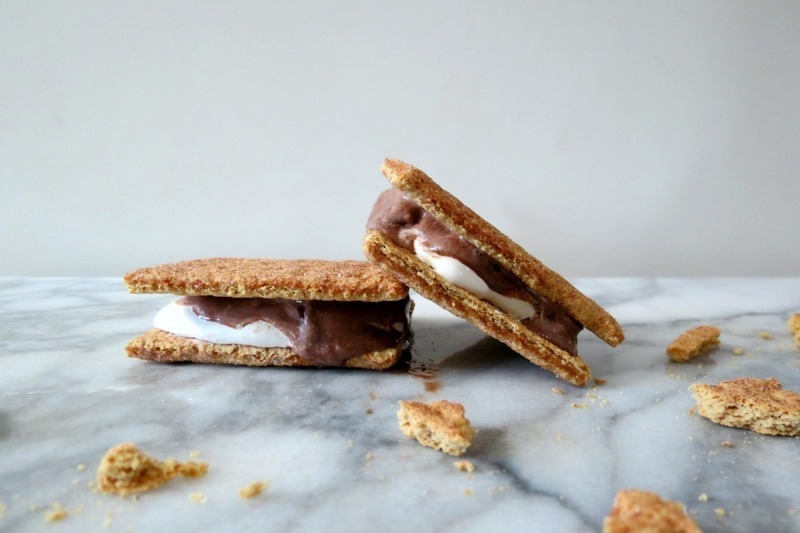 I love smores, I love ice cream sandwiches – does it get better than this? Yum!